To compete with iPhone 6 speculated success, Samsung has to come up with a backup plan i.e. Samsung Galaxy Alpha! With numerous leaks, it is rumored that Samsung will unveil this device, adorned with metal edges (as seen in iPhones), quite soon. In the past few weeks, a number of images of the said handset in comparison to iPhone 4S were leaked on the web. Earlier the announcement of the Galaxy Alpha was expected on 4th of august, 2014 but it never happened. Samsung can unveil the Galaxy Alpha any day now. With a metal body, engulfed with new specs and features, thus one will be completely different from the older members of Samsung’s family of Smartphone apparently. Although Galaxy Alpha is not wholly made of metal, but the edged phone is tinkled with a metallic style, as shown in @culeaks. In the said pictures, iPhone 5S is kept beside Galaxy Alpha. An octa-core Exynos processor 5433 is adorned in Galaxy Alpha, which recently scored higher than Snapdragon 805. The powerful processor will be enhanced with android 4.4.4 version of Kitkat. The LET written on the back of the phone (in the leaked photographs) makes the presence of Snapdragon 805 silicon or the claimed Exynos 5433 chipset quite certain. A 12-megapixel rear camera is expected to be bejeweled in Galaxy Alpha with a very powerful processor. The 0.3 autofocus is the superfast autofocus cited in this Smartphone, just like in Galaxy S5. The Samsung’s Galaxy Alpha screen size will be 4.7 inch diagonal as stated in rumors. It is similar to the iPhone 6. The screen resolution is going to be 720 p with AMOLED display. 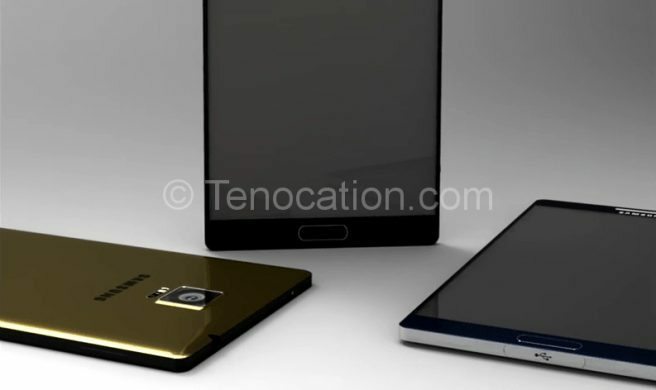 The device is going to be slimmer than iPhone 5S, with somewhat similar metallic designing. The Samsung Galaxy Alpha handset will go with its elder generation’s plastic rear shell. The handset is said to have heart rate as well as fingerprint sensors embedded into it. Based solely on façade of the alleged Galaxy Alpha, the new design of this Samsung device seems to be akin to the iPhone 5S. However, the Samsung’s counterpart will be slimmer than iOS installed Smartphone. The plastic rear back is beneficial for those who like to have an option of changing the batteries in their mobile phones. The Galaxy Alpha will have a removable 1850 mAh battery to keep the slim and sleek 6 mm look. The pixel density and screen resolution is more than enough to clash with Apple’s new launch. Samsung’s cutthroat competition with Apple is very popular and looked upon by the mass as it leads to the launch of some of the best gadgets every single year. To stay head to head with Apple’s next gen launch of iPhone 6 expected in September 2014, Samsung’s Galaxy Alpha will be ready to give some hefty challenge. Let’s wait and watch this bout’s worthy victor.